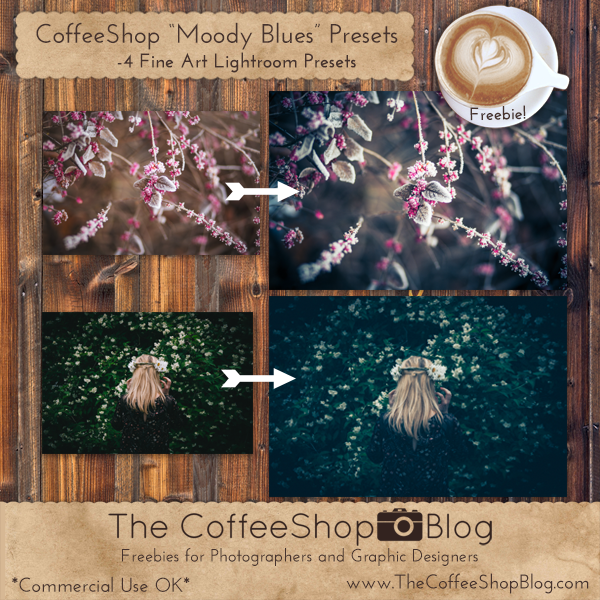 The CoffeeShop Blog: CoffeeShop "Moody Blues" Lightroom Preset Set! CoffeeShop "Moody Blues" Lightroom Preset Set! I don't create many Lightroom presets since I love the ones from Pretty Presets so much, but I get a lot of requests, so sometimes I get the urge to work on a set. Today I wanted to create a somewhat winterly moody edit, and I think this set is lovely. You will have to apply it lightly to skin in portraits as it can make skin tones a little too cool. Images used in this post (frost berries, woman, winter berries, horses). 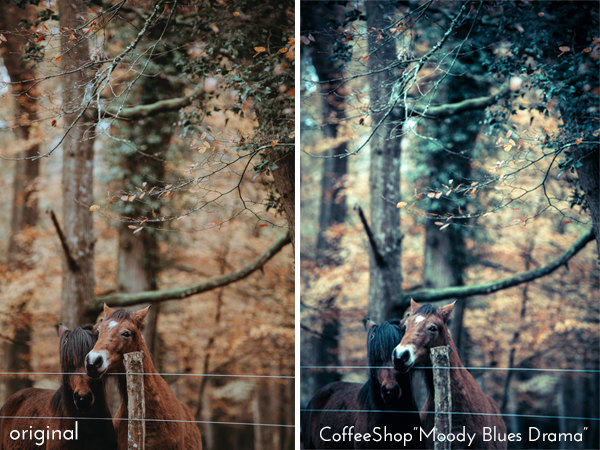 Download the CoffeeShop "Moody Blues" Lightroom Preset set!